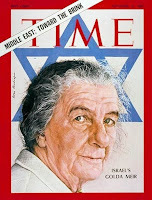 Golda Meir sent a letter to the New York Time which was published on January 14, 1976, 42 years ago. An excellent reminder of the truth about Israel and her Arab neighbours. Thanks, Barry. aMAZING... and there are may Arabs or Palestinians that thrive in Israel... it st seems that they are all thriving and surviving hopfully!! Very interesting, I learned a lot, though by training I would need to fact check actual quotes, but the points made are logical. Now looking at it from 2017, there are two major changes, first the Soviet Union does not exist anymore and its successor state, Russia, is not the anti-Israel troublemaker that the USSR apparently way. In fact, there are hundreds of thousands of former Soviet citizens in Israel, living as Israeli citizens, and in general, quite politically conservative and right-wing, not to say extremist. And secondly, what Golda Meir alluded to, about the PLO, has actually happened. It has renounced terror as a means (though not the "armed struggle" but that's hardly surprising and no self-respecting national liberation movement could do that, and that is not the same as terror per se, even if some acts are terrorist acts); and it actually accepts Israel's right to exist, and the Palestinian Authority even cooperates with the Israeli authorities, to the extent that the PA and President Abbas are vilified by many ordinary Palestinians. 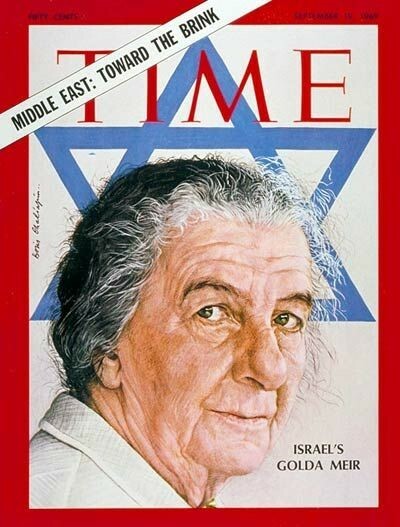 So I believe that were Golda Meir in power today, that she would be amazed, and happily surprised, at that change, and she would denounce Netanyahu's extremist policies. People who believe his policies are the continuation of hers obviously are not reading attentively and are not paying attention to context. Meir was a very astute and smart woman, paying attention to history, in a way which present Israeli leaders do not, and its a crime against logic and coherence that they might/could claim her mantle. She would probably, based on what is written here, strike a deal with Abbas that would be more acceptable to the palestinian public that all the stupid humiliating tactics the weak Netanyahu implements. Meir was strong, he is weak, which explains why she made sense, but he does not. The only big point of contention I see from this letter at least is the question of Jerusalem, but even here, I believe that the pragmatic Golda Meir would agree to some internationally acceptable deal, as long as security was assured. And how better to have security than to keep your enemy right close to your heart! Imagine if the government buildings of both states were just a few hundred meters or a kilometer apart! It would be basically impossible for one to wage war against the other!